1. Tian Feng, Fan Xiangmin, Fan Junjun, Zhu Yicheng, Gao Jing, Wang Dakuo, Bi Xiaojun, Wang Hongan. What Can Gestures Tell? Detecting Motor Impairment in Early Parkinson’s from Common Touch Gestural Interactions. In Proceedings of the ACM Conference on Human Factors in Computing Systems (CHI '19), 2019. 2. Ma Shuai, Zijun Wei, Tian Feng, Fan Xiangmin, Jianming Zhang, Xiaohui Shen, Zhe Lin, Huang Jin, Radomir Mech, Dimitris Samaras, Wang Hongan. SmartEye: Assisting Instant Photo Taking via Integrating User Preference with Deep View Proposal Network. In Proceedings of the ACM Conference on Human Factors in Computing Systems (CHI '19), 2019. 3. Teng Han, Jie Liu, Khalad Hasan, Mingming Fan, Junhyeok Kim, Jiannan Li, Xiangmin Fan, Feng Tian, Edward Lank, Pourang Irani.. PinchList: Leveraging Pinch Gestures for Hierarchical List Navigation on Smartphones. In Proceedings of the ACM Conference on Human Factors in Computing Systems (CHI '19), 2019. 4. Huawei Tu, Susu Huang, Jiabin Yuan, Xiangshi Ren, Feng Tian. Crossing-Based Selection with Virtual Reality Head-Mounted Displays. In Proceedings of the ACM Conference on Human Factors in Computing Systems (CHI '19), 2019. 5. Junjun Fan, Xiangmin Fan, Feng Tian, Yang Li, Zitao Liu, Wei Sun, Hongan Wang:What is That in Your Hand? Recognizing Grasped Objects via Forearm Electromyography Sensing. Proc. ACM Interact. Mob. Wearable Ubiquitous Technol., Vol. 2, No. 4, Article 161 (Ubicomp 2018). 6. Huang Jin, Tian Feng, Fan Xiangmin, Zhang Xiaolong, Zhai Shumin. Understanding the uncertainty in 1D Unidirectional Moving Target Selection. In Proceedings of the ACM Conference on Human Factors in Computing Systems (CHI '18), 2018. 7. Yulong Bian, Chenglei Yang, Chao Zhou, Juan Liu, Wei Gai, Xiangxu Meng, Feng Tian, Chia Shen. 2018. Exploring the Weak Association between Flow Experience and Performance in Virtual Environments. In Proceedings of the SIGCHI Conference on Human Factors in Computing Systems (CHI’18). 9. Fei Lyu, Feng Tian, Wenxin Feng, Xiang Cao, Xiaolong (Luke) Zhang, Guozhong Dai, Hongan Wang: EnseWing: Creating an Instrumental Ensemble Playing Experience for Children with Limited Music Training. In Proceedings of the SIGCHI Conference on Human Factors in Computing Systems CHI 2017. 18. Fei Lu, Feng Tian*, Yingying Jiang, Xiang Cao, Wencan Luo, Guang Li, Xiaolong Zhang, Guozhong Dai, Hongan Wang, ShadowStory: Creative and Collaborative Digital Storytelling Inspired by Cultural Heritage, ACM SIGCHI Annual Conference (CHI) 2011, 1919-1928. 19. Feng Tian, Fei Lv, Jingtao Wang, Hongan Wang, Wencan Luo, Matthew Kam, Vidya Setlur, Guozhong Dai, and John Canny, Let's Play Chinese Characters - Mobile Learning Approaches via Culturally Inspired Group Games. ACM SIGCHI Annual Conference (CHI) 2010, 1603-1612. 20. Feng Tian, Lishuang Xu, Hongan Wang, Xiaolong Zhang, Yuanyuan Liu, Vidya Setlur, Guozhong Dai, Tilt Menu: Using the 3D Orientation Information of Pen Devices to Extend the Selection Capability of Pen-based User. ACM SIGCHI Annual Conference (CHI) 2008, 1371-1380. 21. Feng Tian, Xiang Ao, Hongan Wang, Vidya Setlur, Guozhong Dai, The Tilt Cursor: Enhancing Stimulus-Response Compatibility by Providing 3D Orientation Cue of Pen. ACM SIGCHI Annual Conference (CHI) 2007, 303-306. 22. Yingying Jiang, Feng Tian, Xuang Wang, Xiaolong Zhang., Guozhong Dai, Hongan Wang: Understanding, Manipulating and Searching Hand-Drawn Concept Maps. ACM Transactions on Intelligent Systems and Technology, Vol. 3, No. 1, pp. 1-21, 2011. 23. Lei Ren, Feng Tian, Xiaolong Zhang, Lin Zhang: DaisyViz: A Model-based User Interface Toolkit for Interactive Information Visualization Systems. Journal of Visual Languages & Computing. Vol. 21, No. 4, 209-229. 24. 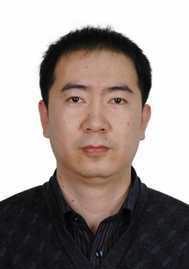 Yingying Jiang, Feng Tian, Hongan Wang, Xiaolong Zhang, Xugang Wang, Guozhong Dai, Intelligent Understanding of Handwritten Geometry Theorem Proving. ACM Conference on Intelligent User Interfaces (IUI) 2010, pp. 119-128. 25. Yingying Jiang, Feng Tian, Xugang Wang, Xiaolong Zhang, Guozhong Dai, Hongan Wang, Structuring and Manipulating Hand-Drawn Concept Maps. ACM Conference on Intelligent User Interfaces (IUI) 2009, pp. 457-462. 26. Kun Yu, Feng Tian, Kongqiao Wang. Coupa: operation with pen linking on mobile devices. MobileHCI 2009 , Article No. : 10, best paper nominee. 27. Yingying Jiang, Xugang Wang, Feng Tian, Xiang Ao, Guozhong Dai, Hongan Wang, Multimodal Chinese text entry with speech and keypad on mobile devices, ACM Conference on Intelligent User Interfaces (IUI) 2008, 341-344. 28. Xiang Ao, Xugang Wang, Feng Tian, Guozhong Dai and Hongan Wang, Cross-modal error correction of continuous handwriting recognition by Speech, ACM Conference on Intelligent User Interfaces (IUI) 2007, pp. 243 - 250.